RepairDesk's template editor also allows you to customize inventory labels. 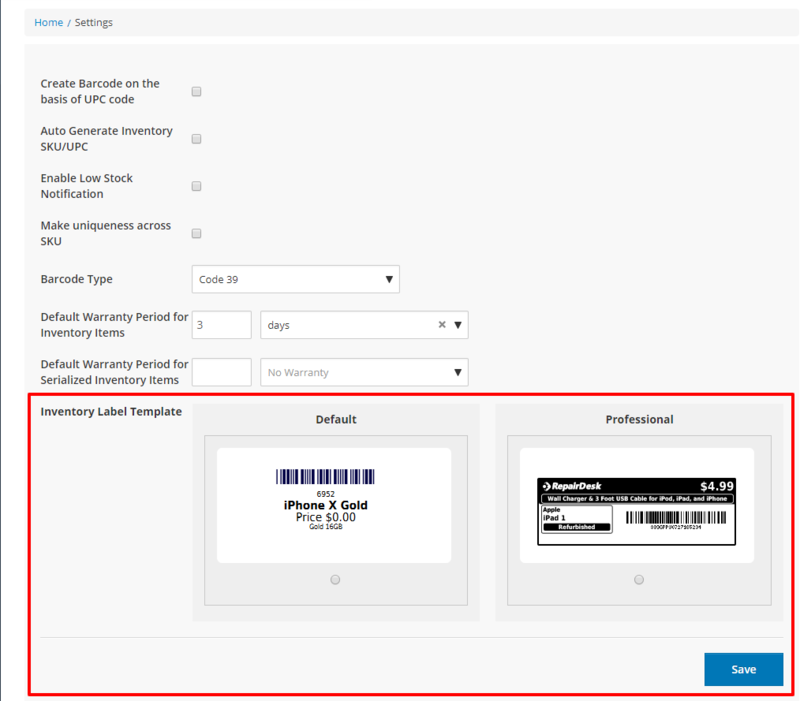 Pick from a variety of available tags and choose which information to display or not on inventory labels. Now head toward template editor where you can add tags and choose which information to display or not on inventory labels. Note: If you select Professional design Barcode type should be code 128. Inventory Barcode label Size/width will be 27-88 mm by default. setting it from Lable size won't effect it. 6. Here among templates of invoices, estimates and ticket labels you will find Inventory Label Template. 7. Click on Action button. You will see option for preview and edit. Click on Preview to see how template looks like. Click on Edit to customize inventory label template. 8.When you click on the edit option for inventory label, you will be redirected to the edit page. You can see various tags which will be fetching relevant data from RepairDesk database. 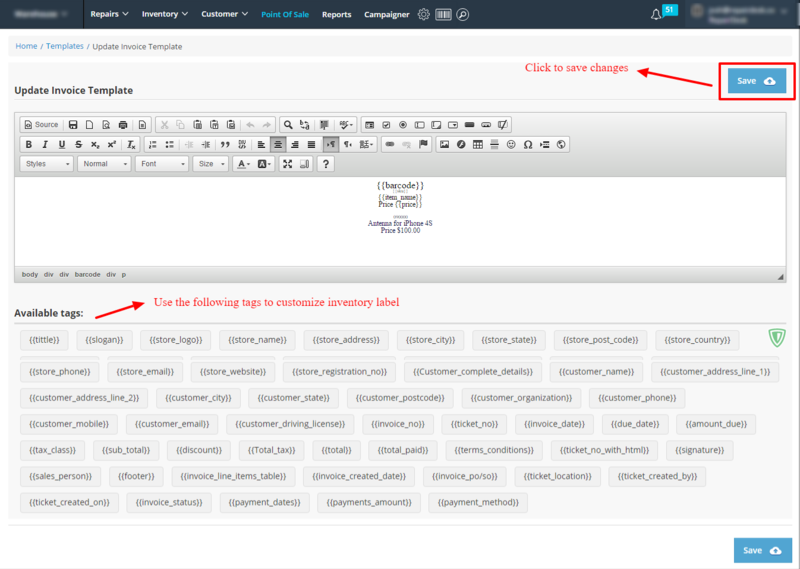 You can also drop a tag or add a new one from the bottom under the heading of Available Tags. This will be baesd on the selected label from Module configuration => Inventory Section. 9. Once you're done, click on Save button to save the changes which you have made. There are around 50 tags which can satisfy almost all of your business requirements. We hope that you will find them quite useful!